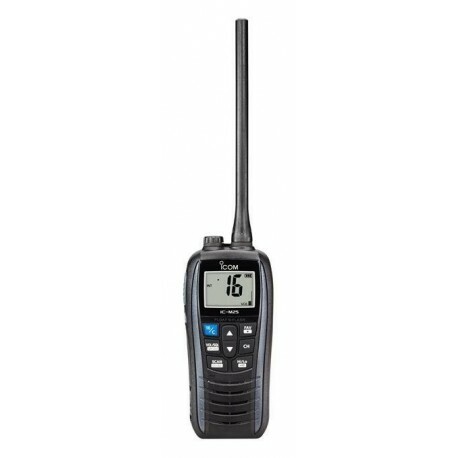 Icom have recently replaced the popular IC-M23 with this brand new handheld VHF with sleek design – the IC-M25 EURO. Combining fantastic features with compact style is the name of the game with this radio – Icom have really raised the bar with this marine VHF following on from what they did so well with the M23. Three color options plus great features and style are the traits of Icom’s M25 floating marine VHF radio, which floats and flashes when dropped into the water. 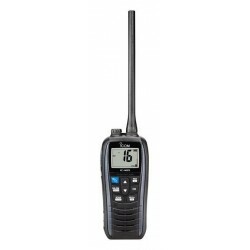 Sporting a slim design, this handheld has the lightest body in the market for a floating VHF radio….just 7.8oz. 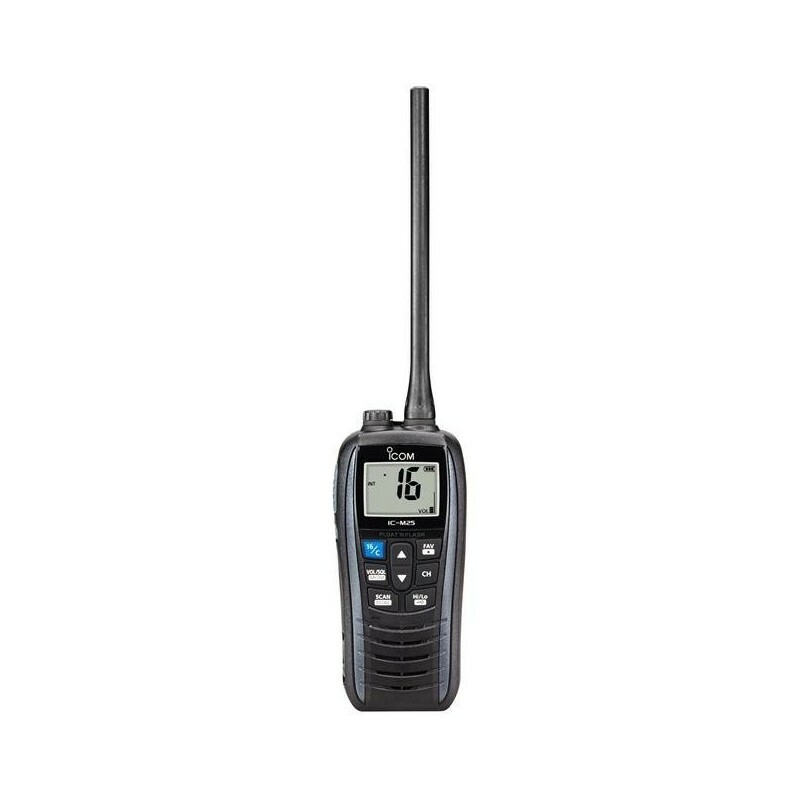 New for an Icom marine handheld, this radio requires a USB connector for convenient charging from a variety of electronic devices! Icom pioneered the floating VHF marine radio and set the trend with the M24 adding the Float N Flash flashing light feature. The M25 floats when dropped in water, even with the optional, HM213, microphone attached. The flashing light feature activates when the radio hits the water, even if the power is off. Not only does the LCD and key backlight on the front panel flash, but also a red LED light blinks through the rear panel showing the place of the radio to easily retrieve. The M25 uses a standard USB connector (Micro-B type). Cigarette lighter cables or mobile batteries for charging Smartphone’s or other devices can be used with the M25*. *The IC-M25 accepts 5V/1A (Max.) input. Use of third-party products is not guaranteed. The M25 provides a powerful 550mW (12 Ohm load) audio output and received voice can be heard loud and clear. The volume loud and mute functions offer quick adjustment of the volume level by holding the VOL/SQL button and pushing the ▲ or ▼ button. Measurement made in accordance with TIA/EIA-603. All stated specifications are subject to change without notice or obligation.